With online dating becoming more popular and widespread, building a great online dating profile is a must! While some people do use online dating as a superficial picture shopping forum, there are many people that actually take the time to read online dating profiles. So, you definitely want to say a little about who you are and what you’re looking for. When you’re writing in the “about yourself” section of your profile, you only need 1 paragraph. And, this paragraph should be no more than 3-5 sentences long. You need to think critically about who you are. Play up your best and most important characteristics. If you’re having a hard time describing yourself, think about how your family and friends would describe you. If you still can’t come up with anything, then reach out to friends and family and ask them how they would describe you. You definitely need to seriously evaluate what you want in a partner. I’m not talking about superficial things like looks, physique, or money. I’m talking about those important qualities that you need in a partner. So, now is the time to distinguish between your wants and your needs! Is There Too Much Information On Your Dating Profile? Ultimately, your online dating profile only needs just enough information to tantalize potential dates and leave them wanting to get to know more about you. I’ve seen numerous profiles where people have divulged their entire life story or listed every last detail about themselves and what they like, and, unfortunately, these profiles don’t cultivate much attention. While it is important to write about yourself and the qualities you want in a person, you never want anyone to think that they know exactly who you are based solely on reading your profile. I know this may seem counterintuitive for some people, perhaps you thought more is better!! But, trust me, it’s much easier for people to make snap judgments about your compatibility and whether you’re a date worth pursuing when you give too much information on your profile. Even if you left out some small details here and there on your profile, you better believe that people will fill in those small gaps with their own assumptions. Whether those assumptions are true or not. 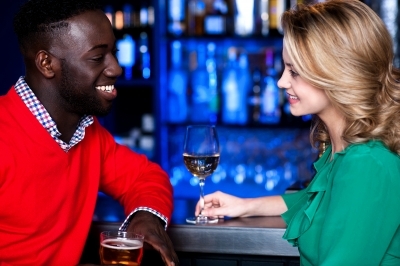 Are You Limiting Your Date Conversation? When it comes to writing about the movies, songs, and books a person likes, I’ve seen many profiles that list well over 30-50 items and this is definitely overkill! When you write about every last movie, song, or book you like, you leave no room for these topics to become conversation points on your dates. Don’t take away a lot of the great conversation you could have on your date by putting too much information on your dating profile. Reel your dates in by leaving enough curiosity to ponder, which means keep your online dating profiles short and sweet!! Need More Help With Your Online Dating Profile? Do you think your online dating profile needs a makeover? 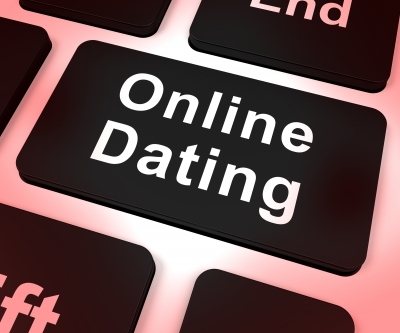 Have you been using an online dating site for months, but aren’t getting the attention you want? Or, do you need help creating your first online dating profile? Well, Dee’s Dating Diary is here to help! I can help transform your profile from a dud to a stud! Give yourself a fighting chance with online dating, contact Dee’s Dating Diary today at Dee@DeesDatingDiary.com. I think the important thing is to list the things that make you unique. From a man’s perspective, few women actually do this and what we end up with is a series of profiles that all say “I never know what to write but here goes… I’m down to earth. I like going out and staying in. Are there any decent men out there? If you need to know more, ask me!” and nothing more. I agree, talking about what makes you unique is a great way to tell potential online dates something special about you. Also, it’s interesting how so many people start their profiles with “I never know what to write but here goes…” Online dating issues are definitely common to the entire online dating community! Thanks for reading my new article and sharing some great points!! Agreed, if you’re looking for a genuine relationship it can be quite the morale killer when all there is between one profile and the next is the photograph. That’s what I loved about my girlfriend’s profile (hey, I’m proof that it does work!) her humour really shone, as did her intelligence and uniqueness. She thought her profile was too long and rambling, but for me it told me exactly what I needed to know. “Keep your online dating profiles short and sweet! !” Definitely! Give them just enough to get curious. Great post! Exactly! Thanks for checking out my post! !